Hi All, I am on the look out for a new car, and have drilled down to 2 options Mazda 3 2015 Or a Honda CIVIC 2018. My budget is around 5.5-6.0 max Currently used Mazda 3s are advertised around 5.5-5.8mn and Civic 2018 SR will be around 6.0mn range. I'm so glad if you guys can give your inputs in selecting one between them. I expect to use the car for least 5 years and will be driving around 80kms per day. (in both heavy traffic and suburban areas). I am happy if I can get a combined gas mileage of around 12-14. (average) I have couple of concerns, 1-Transmission - Mazda 3 comes with a 4 speed conventional auto and the Civic has a cvt. I currently own a cvt and got so much used to it, so feel I should stick to a cvt due to its smoothness. (However I am yet to drive a mazda 3) 2-Ground clearance - Mazda 3 has 160mm and Civic only has 133mm 3-Civic is 0 mileage whereas 3 is used. 4-Resale value-Suppose mazda 3 will depreciate more. 5-Since I will be on the road for like 3-4 hours per day wish the ride is comfy. 6-Value for money-price point civic has more features and seems worth for the money. 7-Mazda gets an agent warranty but civic not, as a agent I have'nt been with colonial not sure about their work. TBH I am more biased towards civic, have seen some good reviews on civic however the low ground clearance and I feel doubtful about the longevity of 1L turbo engine. 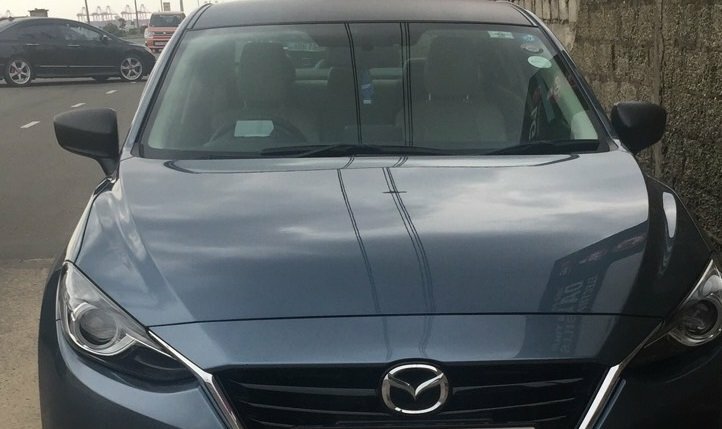 I went through previous posts on this, given the complexity of this engine mazda 4 cylinder 1.6 is simple and less likely to go wrong in the long term is'nt it. Please help me in deciding. Highly appreciate your opinions on above, thank you. Any users of above cars or both ? *Im not in to axios, premios, priuses, vezzels etc. Thanks a lot everyone for the valuable opinions on helping me out to decide. Was struggling to decide between the new civic hatch and Mazda 3. Finally Mazda won over Honda, however its not a 3. But an Axela 2014. Given the prices these days for 3s, even though I had to spend more for the Axela. Feel its worth it given the options and the fuel figures since I am doing close to 80kms a day. Considered 6 as well, but given the larger size and asking price, and fuel figures gave up the idea. Again thank you everyone for your help, has been following mazda threads for long time old threads on Mazdas from @Supra_Natural, @iRage, @[email protected], @Nirosha indeed made me a mazda fan and still learning from your informative posts. Keep up the good work guys. Yes, an English number. Is it illegal if we put up the number on our own custom plate ? Related to this, can anyone tell me currently is it illegal to use number plates that are not issued by the government ? Because before this English numbering system came for the number plates, the era where - and sri plates were not issued by the government. So it seems in terms of fuel efficiency, Mazda 3 1.6 is almost on same grounds as Mazda 6 2l skyactive is'nt it ? Hi Quiet, that is tempting indeed. Love that car, there was a blue color one some days back it was with a buy and sell guy in piliyandala. Had a visit and even test drove, asking price was 6.5. At that time I offered him 6mn but he was very rude. So gave up the idea. But the car was a peach, had done only 19000km something. you own one right, have been following the threads. may I know the fuel economy, bit concerned about that since I do like 1500+ kms per month. Thanks everyone for your thoughts, its highly appreciated. 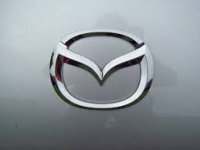 Thanks a lot RWD for this detailed response, but are there significant improvements in the 2016 version of Mazda 3 over the 2014 ? Also the 3 comes with a spare wheel right ? Don't like the puncture kit. Got the following email from Honda, after reporting. Which I believe is true fact from their point of view. "Thank you very much for your e-mail, and we’re sorry for the late reply. While we appreciate your patronage on your car, we would like to inform you that we produce our vehicles for specific markets. Even though some parts may be used jointly by different specification models underlying construction, emission system, etc. may be very different. Because each country establishes its own certification testing standards, cars of a particular specification are tested only for those markets. And if any vehicle of different specification is used, problems with parts availably, differences in construction, etc. can result in much aggravation and unnecessary delays for the customer. From the above reason, we don’t recommend car import because we are not able to provide with our best assist for customers and product warranty will be invalied for parallel import vehicles and therefore, extension of the warranty period will not be applied too. Thank you very much again for you’re interesting with our products. We wish you can find the one with the performance you seek at your local dealer. Sincerely yours, Honda Motor Co., Ltd."